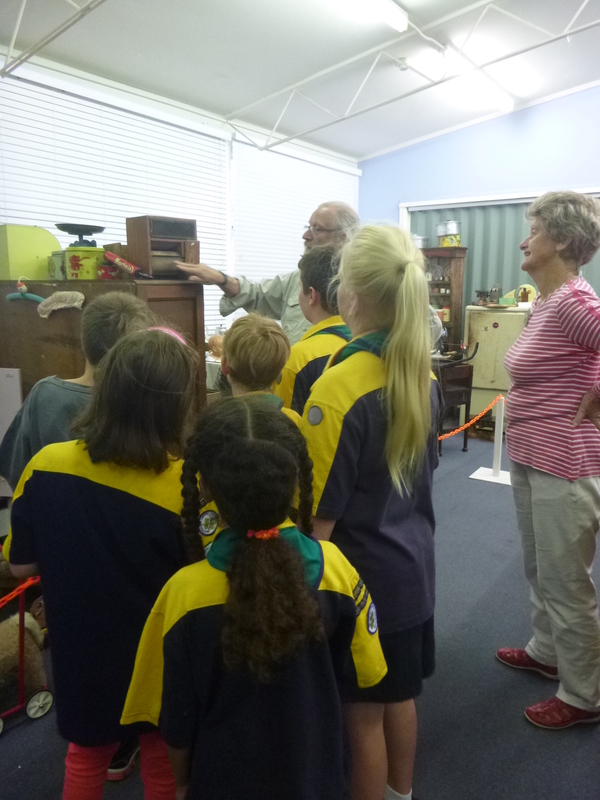 On Thursday 12 February, the Bunyip Cub Pack went to the Hall School Museum for a special project as part of our Badge-work – Local History Badge. When we got there, we were split up into groups and went to different buildings. My group went to the Memory Lane building first. We saw a movie called ‘The Kid’ starring Charlie Chaplin. This was the type of movie that children would watch 100 years ago. Next we went to the Old School House, where we got to write on slate boards. The ‘teacher’ said that this was an old fashioned iPad that they used in schools in the early stages of Canberra. We learned that if you misbehaved in class you would be whacked with a cane, that all girls needed to learn how to sew, and that boys were allowed to bring handguns and shoot them in the school yard before class and NOT get into trouble. Things are a bit different today in schools, than they were 100 years ago.